Twin blasts in two coaches in a train at Chennai station killed a woman and injured 14 persons. As the investigators and the government struggled to make sense of what the small blasts were about, the initial suggestion was that this was not 'terror related'. Later this year India and China are scheduled to hold a fourth round of joint army exercises near Bathinda (Punjab). This will be the second time India will host Chinese troops since 2007 when the joint exercises started. Punjab has been slipping in the ranking of Indian states in the last few decades. The growth rate of Punjab has suffered over the years and the per capita income of Punjab is no more the highest in the country. The per capita income of Kerala, Gujarat, Maharashtra, Haryana, Himachal Pradesh, Sikkim, Tamil Nadu and Uttarakhand exceeds that of Punjab. WHEN Tom Paxton crooned the 60s hit "some ladies are foolish, some ladies are gay, some ladies are comely, some live while they may ...", he was perhaps unaware that "gay" was slowly assuming a meaning that would displace all others. 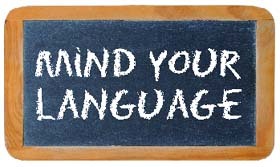 Words of a language are signs with no inherent meaning of their own till we, as user groups, interpret them to mean what we know them to be. Amidst spectacular display of special effects, enhanced further in 3D, the film moves engagingly laced with some witty one-liners. Superhero films like the good old Indian mythological tales are essentially about the triumph of good over evil. Add to it a sci-fi track, a love angle, some emotions, a whole lot of technical wizardry and an average superhero film is ready. So, does familiarity breed contempt? Well, not really. And certainly not if you are smitten by the Spiderman even after Tobey Mcguire starring series ended and Andrew Garfield stepped in as the Amazing Spiderman. The idyllic setting of the film could have been its highpoint but even the picture perfect hill station's verdant landscapes are not optimised to the fullest. The lead actor Tanuj Virwani has little star value. IT was meant to be a perfect ode to friendship. Instead, what you get is a concept so jaded and tired that Purani Jeans, the title of the film, doesn't remain an oxymoron. For there is very little that is new or refreshing in the film. 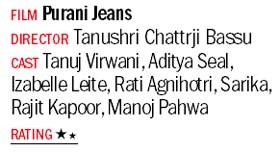 Only when it tells you that a pair of purani jeans is like good old friends, you tend to disagree completely and with a big yawn at that. THE territory is similar to No Man's land, the Bosnian drama that tripped Aamir Khan's Lagaan to win the Best Foreign Film Oscar. Unfortunately, there's little depth in the drama; the conflict is poorly structured and the ensuing experience is just not worthwhile. Twin blasts in two coaches in a train at Chennai station killed a woman and injured 14 persons. As the investigators and the government struggled to make sense of what the small blasts were about, the initial suggestion was that this was not 'terror related'. Probably by that they meant it was not an attack carried out by the more organised outfits pursuing their various violent goals across the country. However, the foremost effect it would have had on passengers not only in the train or Chennai but across the country is of causing terror. Whether carried out by 'miscreants' of a minor interest group or a serious 'terror outfit', this was another reminder of how the shadow of violence lurks round the corner at all times. Coming as it does in the midst of nationwide elections, and in a state that has ethnic issues with a neighbouring country, it will be futile to speculate the motive behind the attack, but no such incident can be taken lightly. The immediate thought that comes to anyone's mind is how vulnerable our public places, especially transport, are. In recent years there has been a tremendous increase in the amount of surveillance at major railway stations, with CCTV, baggage scanners and increased human watch. But the fact that a station like Chennai handles more than 200 trains a day and thousands of passengers allows only relative improvement in security. Someone could easily board a train at a minor station and arrive at a major junction unchecked. As repeatedly stressed by experts, the ultimate guard against terror is intelligence, which depends crucially on cooperation of all security agencies in the country. To that end, Tamil Nadu's initial response that it did not need the Centre's help to investigate the attack was counter-productive. There is never too much information on terror. Aadhaar has come under attack for various reasons, including the generation of so much biometric data and its sharing, but it has a huge potential in crime detection, something that all parties need to build consensus on. Constant vigil is the only answer to all crime and terror. Later this year India and China are scheduled to hold a fourth round of joint army exercises near Bathinda (Punjab). This will be the second time India will host Chinese troops since 2007 when the joint exercises started. The exercises or joint drills, which were agreed upon as per a bilateral memorandum of understanding to institutionalise training and exercise exchanges and other contacts between the two militaries signed in 2006, will take place in the backdrop of major incursions by the Chinese army across the un-demarcated Line of Actual Control in Ladakh and an earlier suspension in bilateral exercises following a diplomatic standoff on the non- grant of a visa for India's Northern Army Commander posted in Jammu and Kashmir. India engages in joint military exercises with a number of countries that range from the US, Russia, European countries to nations in South East and Far East Asia. Joint military exercises with some of these countries are of a high and advanced order. However, the focus of 'Exercise Hand-in-Hand' with China is on counter-terrorism. This theme is considered politically acceptable for confidence building between the two armies. When the first exercise was held in Yunnan province of China in December 2007, Beijing had stated that the exercise was designed to address the 'three evil forces' of 'separatism, extremism and terrorism'. China is facing violent Muslim separatists in Uighur province while India has a long history of facing terrorism, insurgency and violent political agitations. Bilateral exercises with China are a good confidence-building measure which must continue. But any expectation that these will translate into closer bilateral friendship, let alone ease China's position on its territorial claims on India, will be far-fetched. China has displayed aggressive postures on the ground in Ladakh, continues to demonstrate its bias towards Pakistan on Kashmir and displays no urgency to resolve the border issue with India. Yet, such exercises with the politically powerful Chinese army are a welcome tool in the box for bilateral engagement. WE have no desire to anticipate or prejudge the result of the deliberations of the meeting which is to be held at Amritsar to-day to discuss the question of the Gurdwara. But there are certain aspects of the question which we desire to commend to the consideration of both the Government and the Sikh community. The broad fact remains that a special sanctity attaches, and justly so, in the eyes of every Sikh of the Guru to the two Gurdwaras at Delhi, the Gurdwara Sis Ganj where the ninth Guru gave his head and the Gurdwara Rikab Ganj where the last remains of the Guru were deposited. We have not the slightest doubt but that Government fully recognizes this fact and is anxious to show all possible respect to the sentiments and susceptibilities of a loyal and devoted community like the Sikhs. ONE of the important reasons why new University schemes are welcomed is the expectation that the defects in the existing arrangements for the higher education of of the Indians will be removed. If the removeable defects are to any considerable extent retained in the new schemes, then their justification loses force. It is therefore necessary for Government to make up its mind to remove all possible defects and introduce a wholesome and efficient and at the same time a national system of education. Making education costly cannot be a synonym for efficiency. It must be recognised that India is a poor country and Indians cannot afford to maintain the European standard of University life, though they do appreciate and strive to attain a high literary ideal. An analysis of the components of the gross domestic product of Punjab reveals that agriculture continues to play a prominent role unlike many other states that are recording high growth. The role of manufacturing and services has increased but is much slower than that recorded in other competing states. In the case of agriculture, growth has been largely stubborn and stagnating. In the aggregate, agriculture accounts for nearly one-fourth of the gross state domestic product (GSDP) in Punjab which is in sharp contrast to that of Gujarat, Tamil Nadu, Maharashtra, Sikkim, Kerala and Uttarakhand, where agriculture accounts for less than 10 per cent of GSDP. Even in the case of Haryana, where agriculture has been more productive than Punjab, its share is around 15 per cent of the GSDP. In Haryana, the service sector is nearly four times that of agriculture, while in Punjab it is just about two times. Therefore, given the composition of GSDP and that Punjab is sliding in economic growth relative to the other States, it would be the right strategy to consider alternatives to the existing model of agriculture-dominated growth in Punjab. Also, youth in Punjab, given the growing menace of drug abuse, are getting disoriented and do not seem to be interested in development or even employment in the agriculture sector. This could be for various reasons but mainly because of declining productivity and problems associated with agriculture, especially those related to labour supply, depleting water table and soil degradation. Further, in view of increasing urbanisation, vast tracts of land in Punjab would soon be used for non-agricultural purposes. Therefore, Punjab needs to examine alternative models of growth and employment. The fiscal position of Punjab continues to deteriorate. The gross fiscal deficit of Punjab is higher than that of other states. This is also reflected in the higher debt-to-state GDP ratio and higher interest payment as compared to other States in India. The quality of expenditure of Punjab is also a matter of concern as interest payments and salaries and pension account for a major component of the total expenditure. Capital expenditure, the component which contributes to growth for the future generation, is very low in Punjab. Punjab may consider the following alternatives which can provide higher income for its population -- medical and religious tourism, encouraging small-scale enterprises, exploiting the potential of the international airport at Amritsar, and making Punjab an education and IT hub. On medical tourism, Punjab has an advantage in terms of its location and clearly marked seasons. The climate zone of Punjab is similar to most of the western countries, with the Himalayan mountains on one side and Delhi, with good air connectivity, on the other. There is opportunity and scope for international collaboration on medical tourism given that medical services are expensive in advanced countries and that advanced countries suffer from fiscal constraints on account of medical and health benefits, especially after retirement. Foreign collaborations with insurance companies, especially that in the US, the UK and Europe, reputed hospitals and leading global pharmaceutical companies in those countries would ensure high quality service to medical tourists. Punjab can position itself as the medical hub for not only international tourists but also for the country with air ambulance services from Delhi, Jammu and Shimla. This would provide impetus to the service industry in Punjab. In view of the fact that many people from Punjab have migrated abroad, including advanced countries, such collaborative and modern medical facilities would also benefit the aged parents of emigrants. Punjab can also serve as a model for religious tolerance and inter-faith harmony. Punjab has traditionally been the gateway through which invading armies used to come into India and rule for centuries. Despite such a history, Punjab continues to be tolerant to different faiths while adopting and adapting some art and customs but maintaining peace and harmony over the years and retaining its core fabric of values. 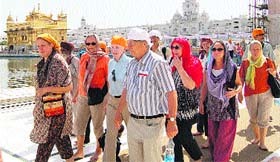 Punjab, a land of sages and gurus, with a large number of historical and pilgrim venues can pursue religious tourism, emphasising intra-faith unity. In view of the fact that Guru Granth Sahib was composed and installed in 1604 in Amritsar, Punjab could claim natural heritage to becoming an intellectual hub of inter-religion research studies. In the absence of large and heavy industry in Punjab, the role of medium, small and micro enterprises (MSMEs) needs to be further encouraged. At the national level, MSMEs account for nearly half of manufacturing output and two-fifth of exports and generate extensive employment opportunities. Punjab can play an important role in housing MSMEs for food processing and also source raw produce from Himachal and Jammu and Kashmir. The international airport in Amritsar can play a pivotal role in exports of agriculture, horticulture and floriculture produce from North India, provided there are state-of-the-art processing units, and suitable infrastructure like cold storages and adequate warehouses. To encourage MSMEs and supporting infrastructure for enhanced exports, the government should offer tax incentives, facilitate financing, provide interest subsidy and address issues related to technology absorption and labour laws. It is surprising that Punjab does not have any elite educational institution like an IIT or IIM, financed by the government. But Punjab may consider institutional arrangement and collaboration with private foreign universities which are beginning to open their offices in India. To illustrate, some universities from Australia and the US already have offices in Delhi and will now be looking for campus areas in India. Stanford has been exploring the possibility of establishing a campus in India for nearly a decade. Once the presence of elite educational institutions improves, Punjab can seek to develop into an IT hub. While Bangalore, Hyderabad and Chennai serve as an excellent IT corridor in South India, there is an available opportunity in North India. If Punjab has to progress fast, then the service sector has to play a larger role. To enhance growth impulse, the contribution of multinational companies (MNCs) should not be ignored. MNCs help industrialists and policy-makers learn about competition which can then be used to enhance competitive strategies in India as well as help entrepreneurs of Punjab make inroads abroad. MNCs can also help, through enhanced competition, in lowering prices and improving the quality of goods and services within our own country. And, therefore, collaborations with MNCs should be encouraged. "Time changes all things; there is no reason why language should escape this universal law." 1. The minister is more of a demagogue, so don't expect any developmental initiatives from him. Though earlier "demagogue" stood for a popular leader, it now has a disapproving tone. It originated from the Greek "demagogos" meaning "leader of the people". Words like "demagogue, awful" and "artificial" are instances of the process, "pejoration", where meaning gets downgraded. The 17th century literature has references of "awful" meaning "awe-inspiring" and "artificial" meaning "of artistic value". We are presently witnessing the term "attitude", in a limited way, developing a negative association, as in "She sure has an attitude" meaning she has "a confrontational approach". 2. It's not about the team being brave ... polling went off well due to meticulous planning. This sentence illustrates how travelling through time some words find an elevated status. At one time, "meticulous" meant "timid" and "brave" meant "uncivilized" but due to the process of "amelioration", they have won favourable positions. 3. That's my sister's jacket. Isn't it cool? In their journey, certain words become more inclusive about meaning. Earlier "cool" referred to a specific artistic style of jazz. But it has now widened its range of application in showing appreciation. "Cool" has been a beneficiary of the process of "broadening". Another example is that of brand names such as "Godrej" becoming synonymous with "steel cupboards" and "Hoover" with "vacuum cleaners". 4. Robin captured the full sweep of the changing skyline, visible beyond Sukhna. There were times when "skyline" stood for any horizon, but it conveys a more specialized sense now. Semantic "narrowing", as seen here, is as natural a process of meaning change as semantic "broadening". It is the horizon dotted with skyscrapers which best qualifies for the term "skyline". Another case in point is that of "ledger". In the 17th century, it referred to just any book which stayed put at a designated place. But in the present times, it has been restricted to refer to an accounts book alone. How far and at what speed the new meaning will spread depends on its relevance and the user groups' prestige in society. Of course, technology is a potent instrument to establish change. Amidst these developments, it is essential for users of English to stay tuned to the ever-evolving trends in word meaning. The moment: Jitendra, whose acting career in Bollywood spanned three decades, was recently honored with 2014's Dadasaheb Phalke award in Mumbai. Roll on: Actor Gurmeet Choudhary says his eyes are now totally set on films and that it's time to move on from TV. But he says he would never say a 'final goodbye' to a medium which gave a push to his career. Up next: Sharique Minhaj, who made his directorial debut with the controversial movie on Gujarat's communal riots of 2002 titled Chand Bujh Gaya, is now ready with his second project. Those of you familiar with the Spiderman franchise and the Marvel comics character Peter Parker are well aware of his amazing superhuman abilities. 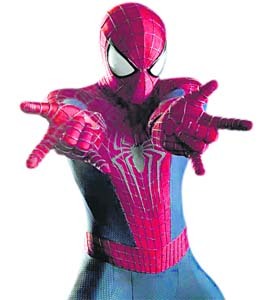 So, he can climb buildings in a jiffy, cast his web from miles and move at a lightening speed to save innocent men and women from getting crushed under vehicles, buildings and the like. Of course, when he is not playing the saviour of humanity, he is as vulnerable as the rest of us. He worries about his girlfriend, frets and fumes over why his scientist father and mother left him in the lurch and shares a few touching moments with his aunt who has brought him up. And while the city is debating whether it really needs the antics of Spiderman that bring in its wake havoc and destruction too, in walks the real destroyer. Only expected, for where there is a superhero, an antagonist is only following close behind. And here they come in many shapes and sizes. First is Max Dillion (Jamie Foxx) whom Spiderman saves. But a freak accident in the Oscorp, where he works, transforms this average guy into an electromagnetic power station of sorts with the ability to not only kill but shut down all power in the city. However, the devilishly delectable bad man here is Parker's best friend Harry Osborn (Dane DeHaan), heir to the 200 billion dollar empire. Now, OsCorp the company his father built deals in path-breaking medical research on the surface, and does dubious experiments mixing animal and human DNAs undercover. Conflict between best friends ensues as Harry, suffering from a life threatening disease, believes Spiderman's blood can cure him and joins hands with Max to nail him. In between, Parker discovers his father's secret laboratory and finds closure on his tormented childhood too. Amidst spectacular display of special effects, enhanced further in 3D, the film, moves engagingly laced with some witty one liners, many mouthed by the Spiderman. 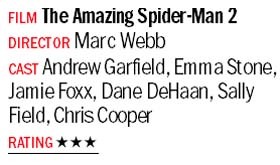 Andrew Garfield as the Spiderman is every inch likeable, human and humane too. Dane DeHaan brings out the menace of his part with requisite glee. Be it his sleek gelled hair (there is an interesting pun too on his hairstyle) or his mannerisms, he has every bit of your attention. Emma Stone as Parker's gutsy girlfriend not only provides romantic relief, the right dose of chemistry but also fits the part. And Sally Fields as Parker's aunt is spot on. The film entices you, keeps you sufficiently hooked and let's face it, drags too but twists and turns save the day. So does technical excellence. Besides, if superhero films are what make your day, no reason why you should give this link in the series a miss. More so since another one (judging by the anti-climax) seems to be very much in the offing. Like 'n' number of films before this, it treads the familiar path of friendship, love and misunderstandings. Bromance, the filmdom's newfound love, manifests once again. The only difference is the backdrop—the picturesque Kasauli. Here best buddies Siddharth (Tanuj Virwani) and Sam (Aditya Seal) and a bunch of friends share not only bonhomie but a deep abiding "friends forever" bond. Their gung-ho life is turned upside down when in walks a beauty, Nayantara (Izabelle Leite). Now, now, no prizes for guessing that both friends fall in love with the same woman. Sadly neither the bromance among the Kasuali cowboys (that's what they call themselves) nor the love track brings any impetus. Though the film moves in flashback and takes off from the US where Siddharth now lives, the back and forth form of the film doesn't pack any real punch to the narrative. By and large the film remains limpid and dreary. So listless is the directorial treatment that when one of the characters says, Kasauli is a sleepy town, one is tempted to quip that the film is even more so. Actually, the idyllic setting of the film could have been its highpoint but even the picture perfect hill station's verdant landscapes are not optimised to the fullest. The lead actor Tanuj Virwani has little star value. Though Aditya Seal as Sam sure has screen presence, even his palpable energy fails to make an impact. As for the bevy of talent that comes by way of senior actors like Sarika, Rati Agnihotri and Rajit Kapoor... well in a film that is on a shaky ground you can't really expect them to do much. So, though emotions are supposedly at the core of this film there are no heart-warming moments. The only poignant scene is between Virwani and Sarika, who plays the drunken mother of Seal, towards the climax. But by then one has lost all interest. Even a few stray dialogues jab do dost ek ladki se pyar karte hai to hamesha ladki haarti hai... can't pump in adrenaline to its sagging energy quotient. Clearly, this is a pair of jeans you are better off not donning. While No Man's land depicted Bosnian-Serb hostility, Kya Dilli Kya Lahore is about the Indo-Pak war post-independence. So right from initiation, the historical trip is mainly nostalgic. And history is never made here; it's re-written with silly incompatible dialogues and manufactured situations that never ring true. It is 1948. At a little outpost on the newly formed India-Pakistan border, Samarth (Manu Rishi), a cook attached to an Indian battalion finds himself at the receiving end of enemy gunfire — from Rehmat (Vijay Raaz), a Pakistani jawaan who has been ordered to steal a confidential file by his wounded senior (Vishwajeet Pradhan). Not quite original, but it could have been far more heart-felt. The manner in which the screenplay moves from conflict to heavy-duty smaltzy nostalgia kills all connect and makes the entire set-up unreal as well as unaffecting. Rehmat wears pants with a zipper, the two reminisce about food with references to the metric system, which was not at play in the period the film is set in, and a major blooper about water being collected from a well much after the bucket and rope gets detached from the pulley and falls in the deep, cause further distention. 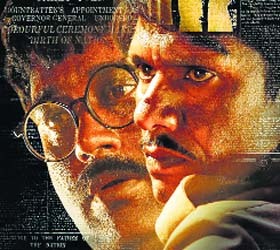 As far as the first-time effort by Vijay Raaz goes, he manages to create a few stray moments where you just about manage to feel the dichotomy of a war pitting brother against brother. But it's so sporadic a connect that the effect doesn't stay with you. The writing is pretty shoddy with too many writers spoiling the broth. Gulzar's so-called poetry doesn't affect in any way here. The background score is a little too overdone. The anti-war theme, the short runtime, the stagey enactment of convenient brotherhood makes for febrile enchantment. Om Shanti Om is a romantic-reincarnation film directed and choreographed by Farah Khan. It stars Shahrukh Khan and Hindi debutant Deepika Padukone in the lead roles while Arjun Rampal, Shreyas Talpade, and Kirron Kher. Bringing Down the House is a comedy film, written by Jason Filardi and directed by Adam Shankman. 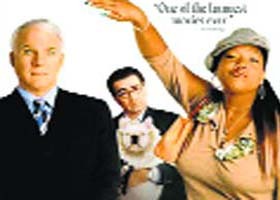 The film stars Steve Martin and Queen Latifah.